Apple introduced new framework UserNotifications.framework for delivery and handling of local and remote notification. 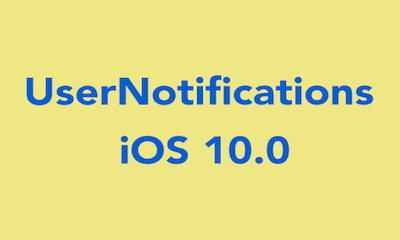 The UserNotifications framework supported iOS 10.0 + , tvOS 10.0 + , and watchOS 3.0+. We are discussing only about the code for notification. 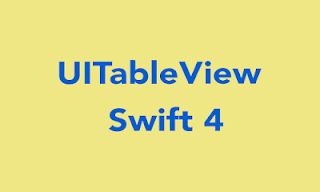 Here the code for both iOS 10+ and also below of iOS version in Swift 3.0. Step 1 : Import UserNotifications framework in your AppDelegate file for iOS 10. Step 2 : Add UNUserNotificationCenterDelegate in AppDelegate. Step 3 : To register local or remote notification, Add the code in didFinishLaunch delegate method. Step 4: Now the Local and Remote notification response is Handle by its delegate method. When You are working iOS 10 or later, then notification response handle in UNUserNotificationDelegate methods. Step 5: Below iOS 10, Local and Remote notification response is Handle by its Application delegate method. Any issue related to this post comment. and also comment to improve the post.